Heaven and Hell has always been Emanuel Swedenborg’s most popular book—and for good reason. Yet here we all are, living on earth, not in heaven. What good is talking about heaven if it doesn’t make a difference for our lives here on earth? Jesus responds with: “On earth as it is in heaven.” You can think of this book as a commentary on that one line from the Lord’s Prayer. What does it mean for God’s will to be done on earth as it is in heaven? What is God’s will, anyway? And how do we do it here on earth? Another way of asking these questions is: How do we make earth more like heaven? In eleven reflections originally preached as sermons in the fall of 2003 at the New Jerusalem Church in Bridgewater, Massachusetts, the Rev. Lee Woofenden explores this question, drawing on Jesus’ Parables of the Kingdom from the Gospel of Matthew for inspiration, and using Swedenborg’s spiritual classic Heaven and Hell as a guide. 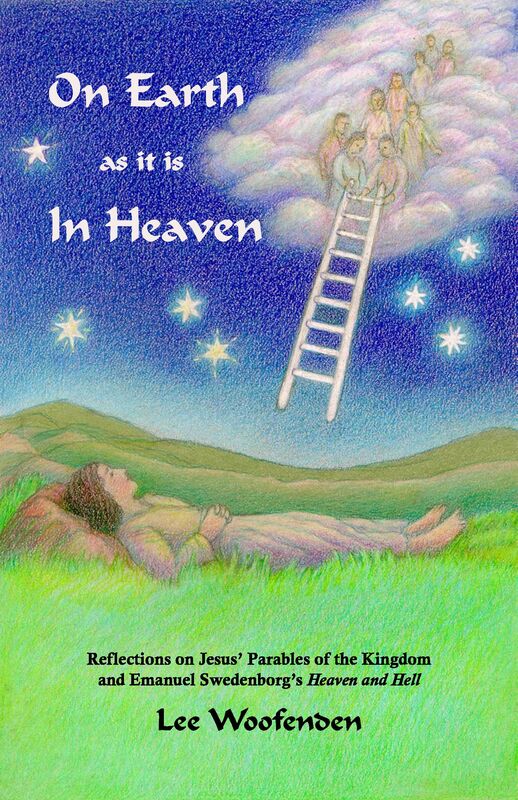 You are invited to delve into these pages and seek out many pearls of wisdom about the kingdom of heaven, and its practical meaning for our everyday lives on earth. Since this little book is currently out of print, I have decided to post it chapter-by-chapter here on Spiritual Insights for Everyday Life. I hope you will find it enjoyable and enlightening. Update: As of December 31, 2018, On Earth as it is In Heaven is back in print! To review or purchase it in paperback on Amazon, click either of the title links above. To review or purchase the Kindle version, click here.